From there, we cleaned up a bit and went for a lovely early lunch at a local farmers market. Duly fortified, we went to the garden store for more tools (a cultivator), along with mulch and the plants, of course! I spent probably an hour walking through the plants trying to decide what I could reasonably put in the space without obscuring the windows in the front of the house, or breaking the bank, as some of the plants were quite expensive. I was very tempted by hydrangeas, but for some reason couldn’t quite find the right one for our space. I thought perhaps we got too much shade in the front for roses, as there are several large trees in our neighborhood and the front is entirely shaded by the house for most of the morning. I may put in roses in the back later. In the end, I settled on three little azalea bushes, which will hopefully expand to fill most of the space. After returning home, we used the cultivator to break up the soil and work in some peat moss and high-quality organic soil mix. 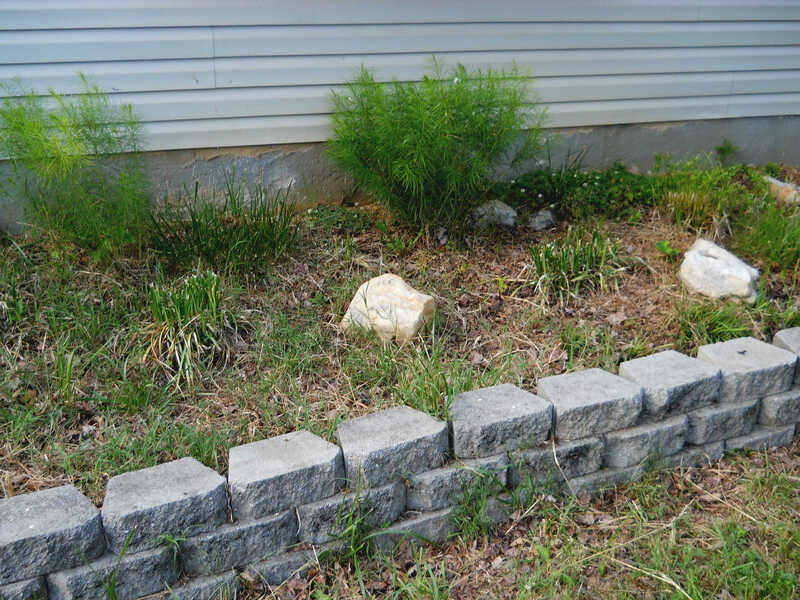 Then, I gave everything a bit of water from the hose, and we started planting the shrubs. 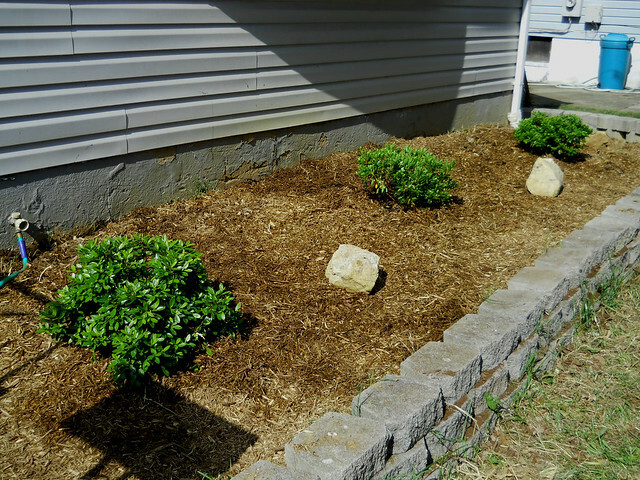 Once the shrubs were in, all that was left to do was to cover over everything with a nice layer of mulch to try to discourage those weeds from growing back and give the new plants some more water. As you can see, it looks much nicer than the overgrown tangle that was there before! Good read here. Fine post and photos. Be sure to get your rose bushes! You will love their pretty bloom smiles! Thank you for your comment! Unfortunately, I struggle to find enough all-day sun in my tree-lined suburb, but I’m staking out patches for my next project.